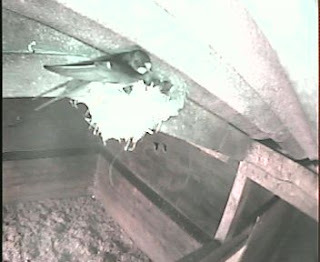 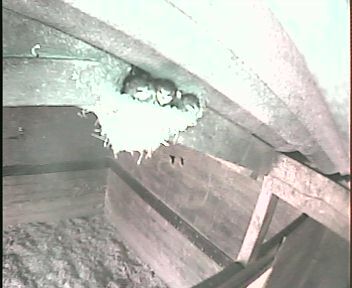 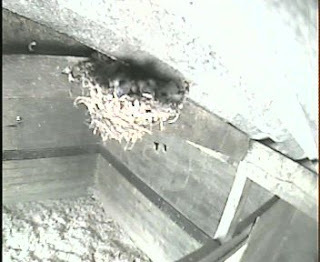 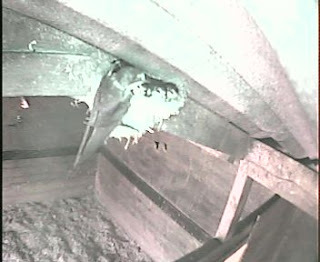 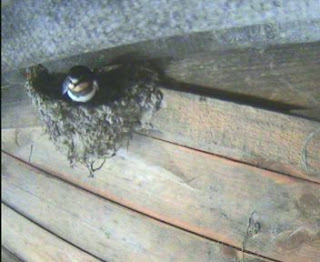 I haven't posted any pictures of the swallows second brood because in the poor quality cctv cameras they look exactly the same as the first brood. Here are a collection over the last few weeks. 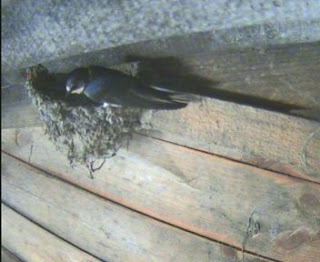 I think this one sitting on an empty nest the other side of the stables is one of the youngsters from the first brood.